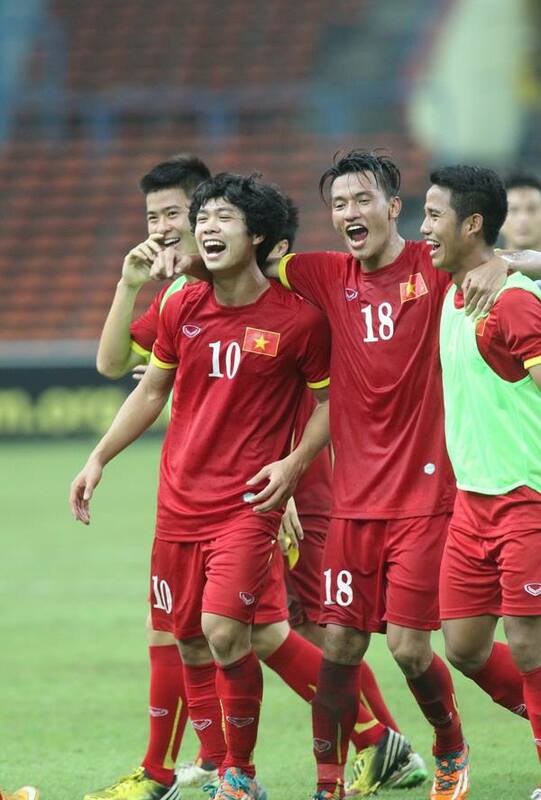 Vietnam U23’s opened their 2016 AFC U23 Championship qualifying campaign with an impressive win over Malaysia at the Shah Alam Stadium. Nazirul Naim opened the scoring for the hosts when his free-kick from 30 yards cannoned in off the underside of the bar. Vietnam equalised through a wonderfully worked goal, which saw Cong Phung’s back-heel fall perfectly to Huy Toàn, who drove home from the edge of the box. Công Phượng sealed the points just before the break, when a long free-kick defied the the home defence and the rising star of Vietnamese football race clear to easily beat Mohd Farhan in the Malay goal. Next up with be a tricky fixture against Group I favourites Japan, who thumped Macau 7-0 in their opening match. The 10 groups winners and 5 best runner-up will Qualify for the 2016 AFC U23 Championship to be held in Qatar, which in turn will provide Asia representatives for the 2016 Brazil Olympics.